Three men were arrested and charged this week in connection with an alleged dog fighting operation in Huntersville. On Sept. 23, there were 23 dogs and dogfighting equipment seized by police from a home in the 16100 block of Statesville Road. Officers with CMPD’s Animal Care and Control Division and the American Society for the Prevention of Cruelty to Animals assisted in the search. Michael Ray Cherry, 44, and Sean Lennell Burton of Davidson, 44, both of Huntersville, were each charged with one count of restraining dogs in a cruel manner and 16 counts of felony dog fighting and baiting. Records show Cherry was free on $49,500 bail and Burton was jail on bail set at $33,000 on Friday. 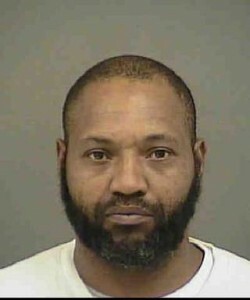 Police charged Rondale Everett Jetton, 37, of Charlotte, with four counts of cruelty to animals. He was free on $4,000 bail, according to records. Charged With 1) Pwimsd A Controlled Substance (F), 2) Simple Possess Sch Vi Cs (M) (M), And 3) Trespass - 2Nd Deg (M),.